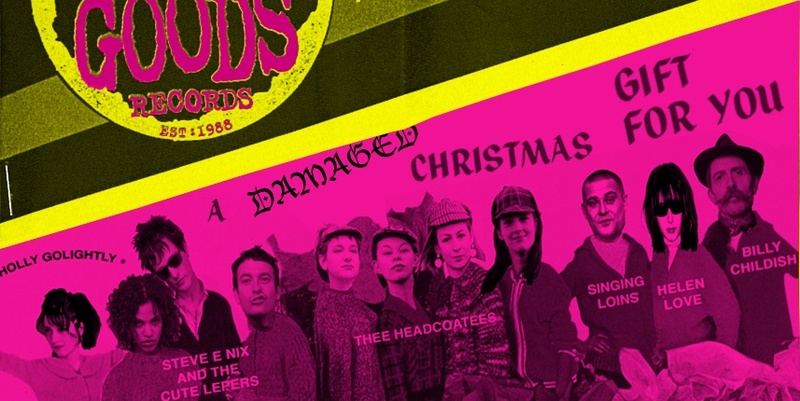 Yes it’s a Damaged Goods Christmas Compilation featuring some of the best Christmas tracks we’ve released over the last 20 odd years. Holly Golightly has two tracks on here, one from a couple of years back ‘Christmas Tree On Fire and one from 2002 with The Green Hornes (some of who are now in the Raconteurs) called ‘Little Stars. Last up we have a couple of obscure tracks from the 1994 and 1996 christmas singles, Wat Tyler doing ‘God Rest Ye Merry Gentlemen’ and Monkhouse (a great lost band from Belfast’ doing ‘Guinness And Wine’. Next year this might even make it out on record along wth a bunch of new tracks as well, but it’s good to have it all in one place.